This is the best time to start working to organizing your finances. The economic times for many Americans are rough, with increased unemployment that is beginning to stabilize and even improve for some individuals. Working toward a life that is less dependent on credit and more dependent on accumulating more wealth is the ultimate goal for most individuals. A stress free retirement is best spent on a cruise you’ve saved up for, not working a 9 to 5. Today, we will take a look at five applications that are there to ensure your finances are in check. Mint is the top dog in the category of finance applications. In the beginning, I was a bit scared off by the application because it was a bit much. I felt overwhelmed because I wasn’t used to an application that could do so much. I am able to handle not only my bank accounts, but also my credit card, and investments all in one. 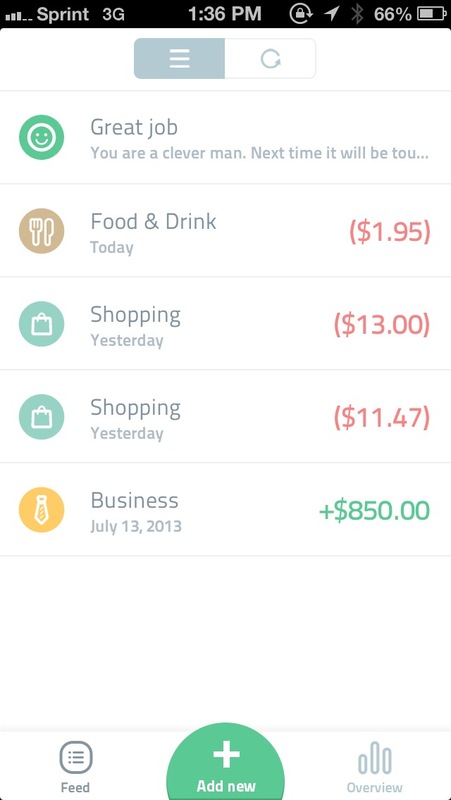 Mint, as a result, shows you your net worth (not including car values and home values of course), instead of just spendable money. You also have full reign to categorize certain purchases, allowing you to get a better picture of where your money is going. 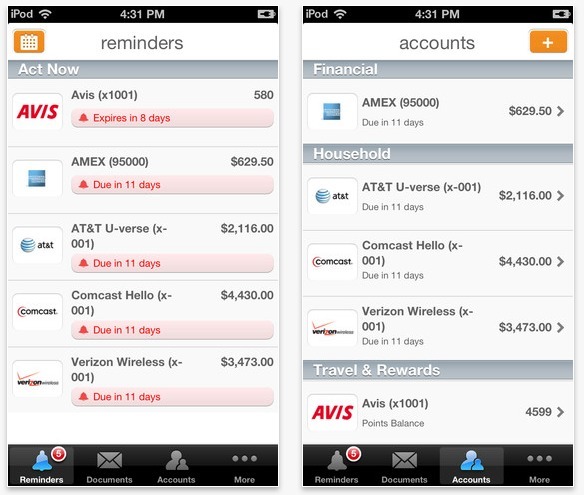 Mint is available across various platforms, including your desktop, iPhone, and Android devices. Better yet, it’s free. 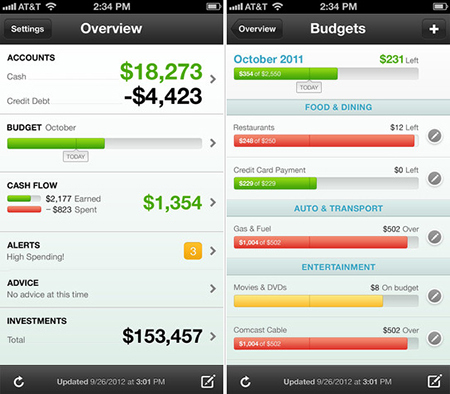 Spendee is visually appealing while also giving you the information you need to know about your finances. The $1.99 price tag is a little much, especially for an iPhone application. However, the ROI (Return-On-Investment) of this application can pay back that $1.99 in no time. This is through the ability to get a full picture of your purchases, including the ability to digitize bills and receipts you get. 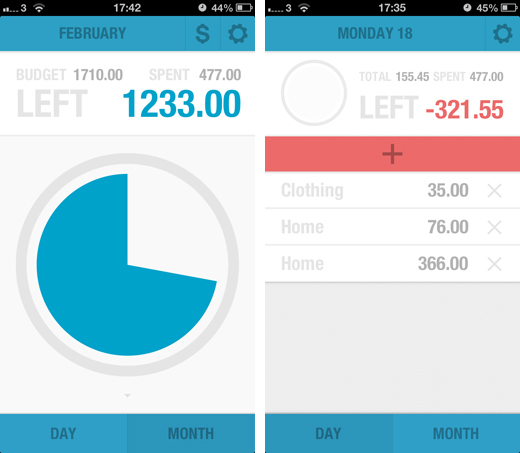 Various graphs also detail your overall spending for not only the week, showing you which day of the week was the most expensive, but also showing you your overall spending trends over the year. If you find that your trends are increasing after a certain change in lifestyle, this will allow you to visually see where changes need to occur. Spendee is available only on iOS. The biggest impediment in building wealth is debt. The individuals you owe prevent you from having wealth. From credit cards to loans, you only have the image of wealth and consumption, but in reality those debts must be paid back. Manilla allows you to keep track of bills, credit cards, and other balances to keep you up to date, out of the way of late fees, and ensuring that you are able to settle those charges in a timely manner. Almost no account is out of the range of Manilla support. Plus, it is free and also available for Android, along with iOS. In the end of the day, not everyone has the knowledge of finance to know how to handle some of the aspects that are found in certain financial applications. While many of them have worked hard to make them as simple as possible to use, there are still many individuals out there who want a simple application to keep up with the activities of their accounts. Budgt is the iPhone application that does that. It is very minimalistic in design, making it approachable for the beginner. Budgt will cost you $1.99. Dollarbird color codes your spending and income as a way of showing you where your money is truly going each month. 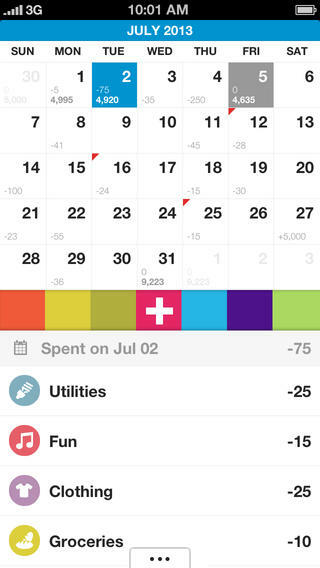 The convenient calendar that is equipped in the application also allows you to get a holistic view of your finances. Dollarbird, aside from the unique UI, has many of the features and inner-workings that we come to expect from a financial application. You are able to enter planned spending, to allow you to have a better picture of your financial state so you can make preparations if needed.